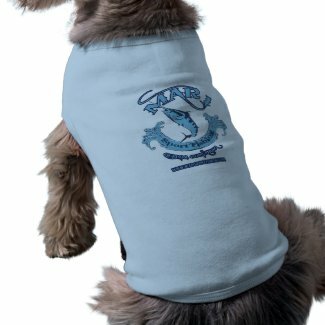 Fishing Pets Clothing from the Classic Design to our Original designs that you will just have to have. We offer a wide range of not only styles but also designs, if you don't see exactly what you are looking for contact us and we will make it up for you. Mar 1 Sport fishing Match your pet's personality with a one-of-a-kind bowl that is just as special as your furry friend. This custom bowl is made of Lexan acrylic and decorated with a vividly printed waterproof insert for extra durability so your pet can always eat and drink in style. Great as a thoughtful gift for the proud pet owner in your life! Mar 1 Sport fishing Your furry friend deserves a bed just as plush as yours so he can cuddle up close to you without hogging yours! This custom bed is super comfortable for your dog to snuggle up on and durable enough for playtime! Designed with removable covers, you can easily wash the exterior so your room stays fresh! Available in two sizes, choose a size and design that is perfect for your pooch and coordinates with your home decor.